The reports of brick-and-mortar stores closing keep coming. Is this caused by poor performance of the stores, a real estate correction or a major shift in retail? Alison Paul, a retail and distribution expert at Deloitte, said in January that she expects the coming shake-up will be the biggest change the retail industry has seen since the 1960s, when the era of big-box stores began. Online shopping continues to fuel the changes to the retail customer’s experience in the brick-and-mortar setting. “If brick-and-mortar retailers don’t really address how to make their stores an experience — like Apple, like H&M — then they run the risk of becoming outmoded,” said Jeff Green, president of Arizona-based retail real-estate consulting firm Jeff Green Partners. Participants in PwC’s Global Total Retail Survey (February 2014) have set the bar high for retailers: compelling in-store technology, an "always-on" 24/7 service mentality, real-time insight into product availability at individual stores, and consistent prices and offerings across a retailer’s assets are key expectations. According to PwC’s Achieving Total Retail, a greater focus on the consumer and integrated, customer-focused technology transforms the "channel" experience into a "total retail" experience. PwC defines "total retail" as two things: a unified brand story across all channels that promises a consistently superior customer experience and an integrated back-office operating model with agile and innovative technology. 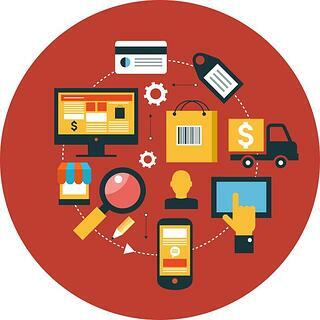 While industry terminology shifts from multichannel to omni-channel to "total retail," it’s clear that Master Data Management (MDM) must continue to help retailers exceed customer experience expectations. MDM allows retailers to develop and maintain a customer-centric view. By employing a single, accurate and authoritative view of products, customers and other informational assets, the foundation for a unified brand story is created. Uniform and accurate data improves customer service. By offering consistent pricing and product information, real-time availability, and ratings and reviews, the shopping experience becomes more connected and customer-centric. On the other hand, improper levels of service delivery, irrelevant marketing offers, incorrect pricing and poorly executed cross-sell or up-sell offers all contribute to a negative customer experience, translating into poor customer loyalty and a disjointed brand story. An MDM solution reduces costs and streamlines information management across the organization. With the right information at the right time, agility is improved in the management of data across internal groups and functions. With an integrated MDM approach, retailers can achieve uniform information without forcing every department or external party to use the same application. MDM can be the foundation for the "always-on" 24/7 service mentality that customers are demanding. It should go hand-in-hand with other operational improvements to achieve "total retail."